The Smart Sweater is probably the most important garment we make. 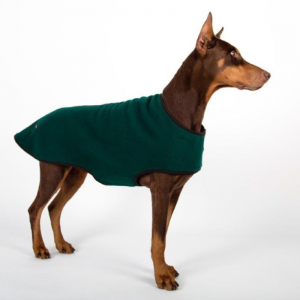 It was originally designed for post-op dogs who were shaven for surgery and recovered in chilly hospital settings. Made from Polartec 100 it’s extremely lightweight, cozy and durable. The Smart Sweater is a versatile sweater. It’s a designer warmer-upper meant to be worn indoors. 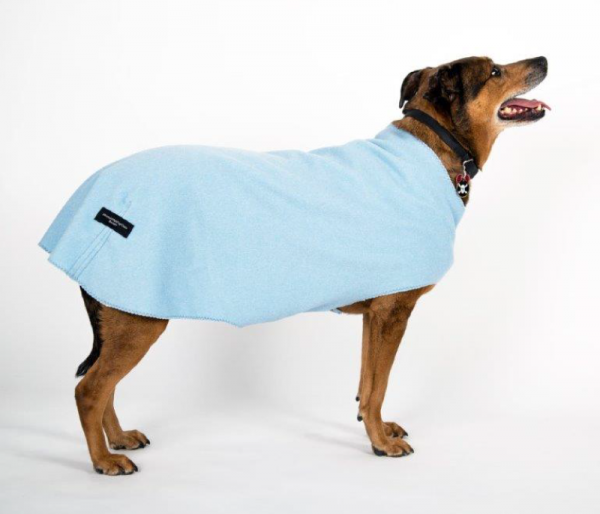 It can be worn by seniors dogs and short- haired dogs who’re just plain chilly in the house. It’s not meant for outside. *not all colors available in every size.